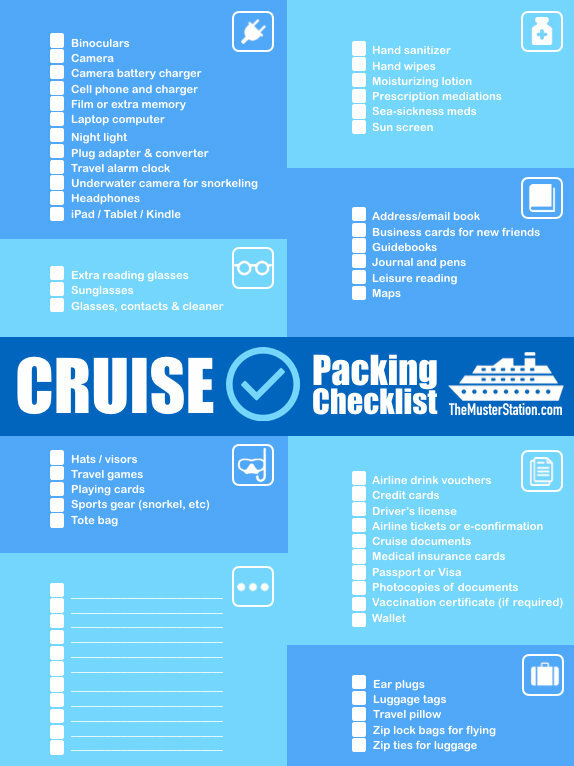 Cruise Blog Cruise Packing List PDF - Free Printable Download! That isn’t the case when cruising. When you step foot on the ship, you’re leaving behind all of these conveniences. That’s why it’s so important to make sure you’re Cruise Packing List is complete. We’re here to remind you of the little things you’d likely forget (or not think of) when planning your cruise. Would you have thought to bring Ear Plugs for a good night sleep in your cruise cabin? Or extra power outlets to plug in all of your essentials? And what about your reading glasses for your morning Cruise Planner? Feel free to Print our Free Cruise Packing list PDF below. You’ll find the above items as well as many more. There’s also a space to personalize your checklist with any items we’ve left out. 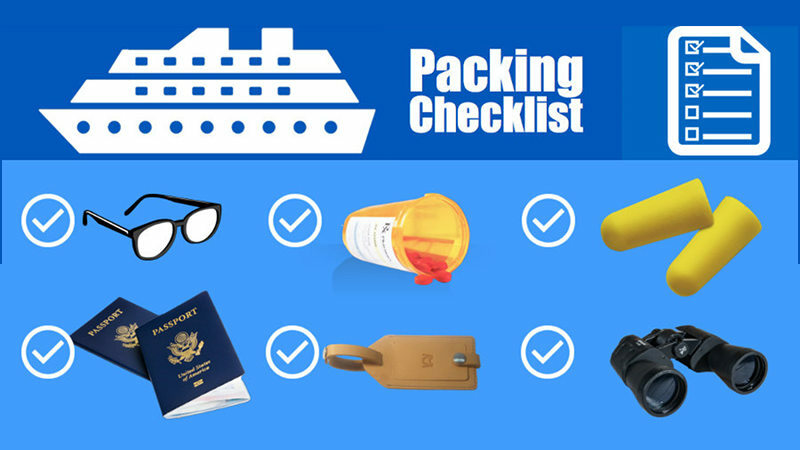 Click on the image below to get and save your cruise packing checklist free PDF download. Make sure to Pin this to your Pinterest Cruising Board of choice using the button above! If you don’t care to print out the PDF version, you can find the items noted below. If we’ve missed any integral cruise packing items, please leave them in the comments below. We’ll be sure to add them to our list. Thanks and feel free to “Share” using the buttons below! You’re very welcome, Steve – happy cruising to you! Just want to make sure I have everything. The checklist will help make sure I haven’t missed anything. You’re very welcome, Susan! Happy cruise packing! I would appreciate a copy of the cruise packing list! Helping a family of 5 get ready for a Disney Caribbean cruise and Disney Island time!